Self-confessed crazy cat lady Taylor Swift rocks a feline print dressing gown. Miaow! 24. 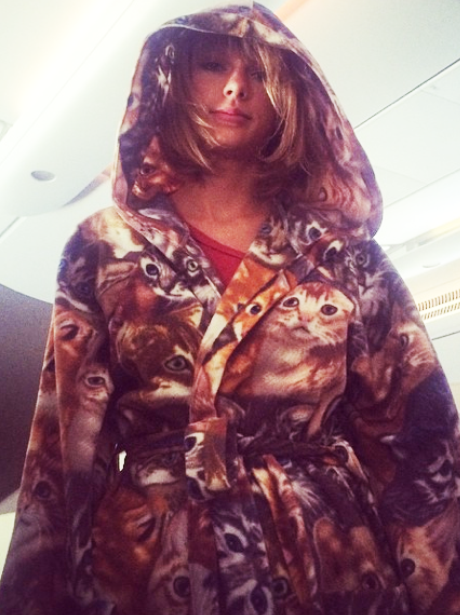 Self-confessed crazy cat lady Taylor Swift rocks a feline print dressing gown. Miaow!